At last week’s Google I/O, Google made a big push in the world of fingerprint scanning for authentication purposes by introduces a fingerprint API in Android M. Going forward, manufacturers who choose to include fingerprint sensors in their phones will no longer have to work around Android and can instead use the native API to make for tighter integration. To show off how fingerprint scanning can work in Android M, Google put out a short video on using your fingerprint to make payments. The video shows you how a payment situation would likely unfold when running Android M, something can more than likely envision without the need to see a video. After all, there have been fingerprint-powered payments on iPhones for some time. 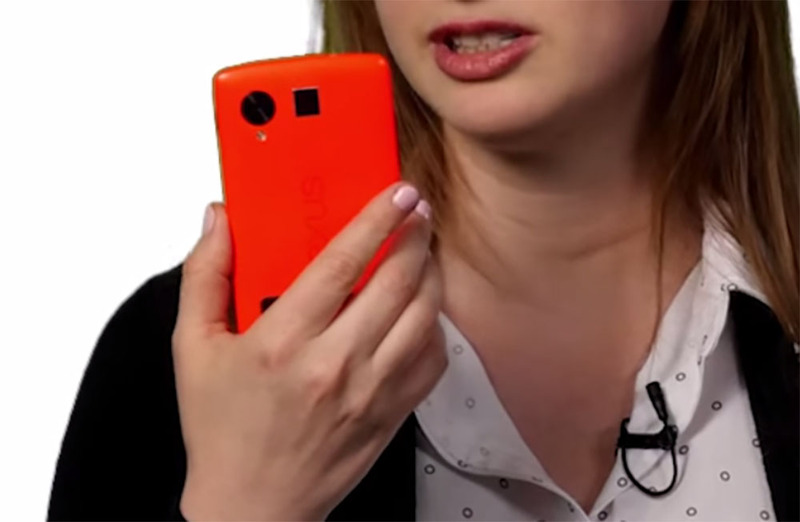 But what’s interesting about the video is the fact that the presenter randomly pulls out a Nexus 5 that has been outfitted with a fingerprint sensor to show how it all works. 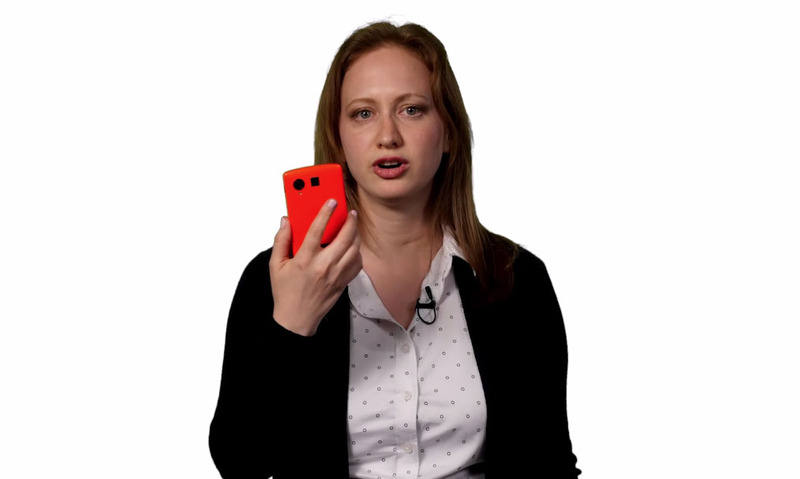 So we are clear, she states in the video that she has a “phone which has been modified to add a fingerprint sensor.” In other words, this is not the rumored LG Nexus 5 (2015), but is instead what really looks to us like a red Nexus 5 (2013) with a square fingerprint sensor added up near the camera sensor. There is an odd black bar hiding something under her hand, though. While hypebeasts clickbait title enthusiasts will want to suggest that this is a sneak preview of the next Nexus 5, that’s probably pretty unlikely. I guess there is always a chance this could be some early prototype of that rumored phone, but I for one am hoping Google doesn’t think that top-rear-centered fingerprint sensors are in a good location and re-thinks that type of setup. Your mind is turning like crazy, though, isn’t it?